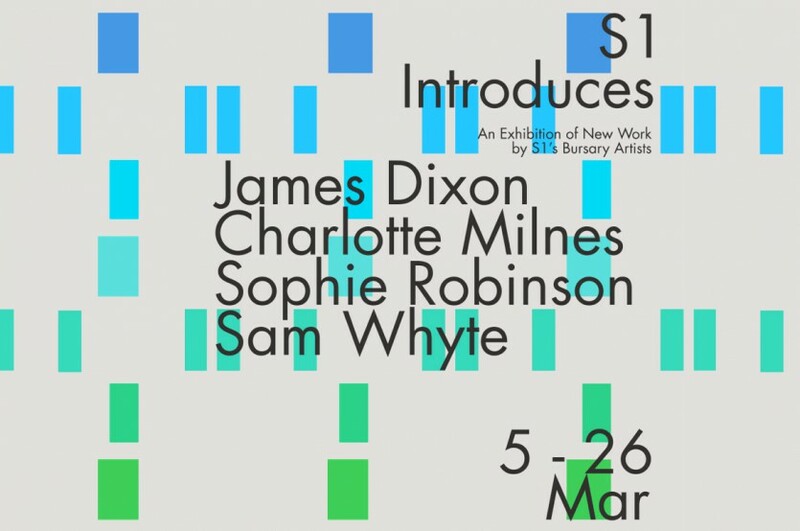 S1 Introduces presents new work by the 2015/16 S1 Bursary Holders, James Dixon, Charlotte Milnes, Sophie Robinson and Sam Whyte. Four recent BA Fine Art graduates from Sheffield Hallam University who were selected to take part in this year’s bursary programme based on the strength and diversity of their individual practices. For the exhibition, James Dixon presents a number of videos produced at the wool factory where he works part time in Bradford. Hypnotic and repetitive machine processes are captured on film, which are only occasionally interrupted by the presence of a factory worker. Accompanying the film is a sculpture made from a ton of wool salvaged from the factory floor. Charlotte Milnes has taken inspiration from the location of S1 Artspace’s new temporary gallery at the brutalist Park Hill housing estate. Photographs of stripped interiors form the starting point for a series of digitally manipulated images and materials salvaged from the site are transformed into a new sculptural assemblage. Also taking inspiration from Park Hill is Sam Whyte who presents a new large-scale sculptural installation developed over several weeks on site. Daily forays across the abandoned part of the estate have resulted in debris and materials being collected by Whyte that he has incorporated into his new sculptural work. Sophie Robinson’s new film works explore where the ‘real’ collides with fantasy. Sweeping views of the bucolic English countryside are interrupted and fractured by glitches and ruptures as you realise you are looking at a digital rendering of a landscape courtesy of Google earth.